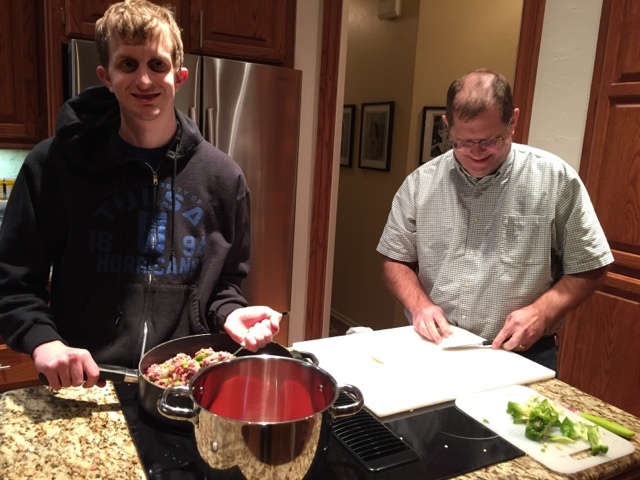 Robbie is helping to make chili tonight. It is going to be a cold weekend, so we are all ready. He even talked Jim into helping. I realized after I took the picture that he will also be getting a haircut this weekend.